Celebrity Magician, Murray SawChuck has always pleased his audience with a happy mix of comedy, magic and his sparkling personality. 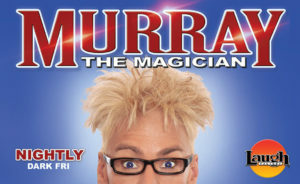 Even though I have been reviewing Murray’s shows for years, his original tricks always make me laugh. 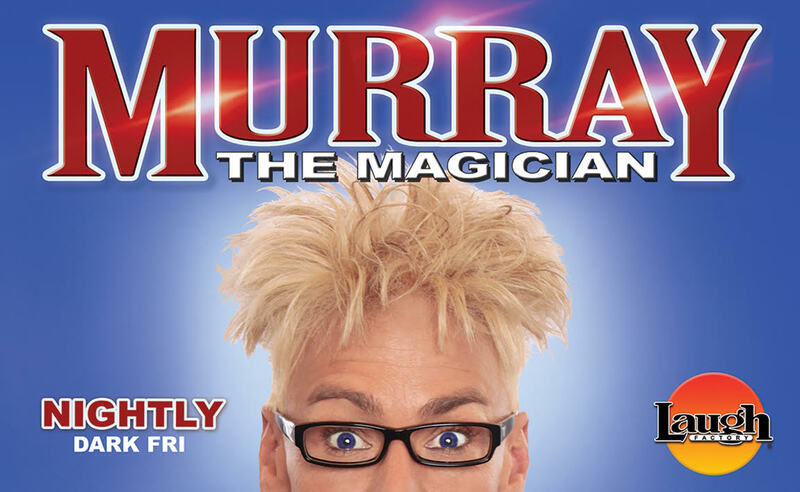 Murray has an entire new act for his new Laugh Factory showroom, in the Tropicana Hotel. He’s clever as a magician and warm and friendly as a person. On opening night Murray’s all-new laugh-a-minute magical performance delighted his audience. Murray is one of the few performers who can take an old fashioned ketchup bottle or a bowling bowl and make a few tricks! There are so many tricks, some of his tricks are simple while others more complex but he always makes them funny. He speaks directly to the audience and the interchange makes them feel included in his act. Murray suddenly asks for someone to give him a shoe then makes fun of the shoe. He seems to make almost anything funny even a shoe. Murray provides a few magic lessons with an egg and a red scarf saying, “Now you can be a headliner in Las Vegas!” It’s all good natured fun for the whole family because the kids are included! There’s even more to Murray’s show with his lovable sidekick Douglas “Lefty” Leferovich who surprises everyone with an original new act. Lefty’s new image brings a dazzling display of quick-action card manipulation coupled with his unique facial expressions, a combination to see as he offers a personal interpretation of each movement! I watch both his face and the cards while he acts. See Murray SawChuck’s new show and his sidekick Douglas “Lefty” Leferovich: Monday, Tuesday, Wednesday, Thursday, Saturday, and Sunday. (Dark Friday) The Laugh Factory, in the Tropicana Hotel, is an intimate room where every seat provides a good view, located at 3801 S Las Vegas Blvd. Murray SawChuck aka. Murray The Magician was surprised on his birthday this week with John Kats walking on stage in the middle of his show to surprise him with a Proclamation from the Mayor of Las Vegas that November 25th is Murray The Magician Day. It was given to Murray because of all his charitable contributions and giving back to the community of Las Vegas that he does. Award-winning Talk Show Host/Columnist Sandy Zimmerman has been involved in producing television programs, TV commercials, and travel specials for 25 years. Sandy is a syndicated Show and Dining Reviewer, Travel/ Luxury writer, Health Journalist, Photographer/ Videographer, Editor, Director, and Talk Show Host of Sandy Zimmerman’s Las Vegas TV Show, the Las Vegas Today Show and Discover the Ultimate Vacation travel specials. Sandy interviews celebrities at the ACADEMY AWARDS, CASINO, SHOW & ENTERTAINMENT AWARDS, and other red carpets.